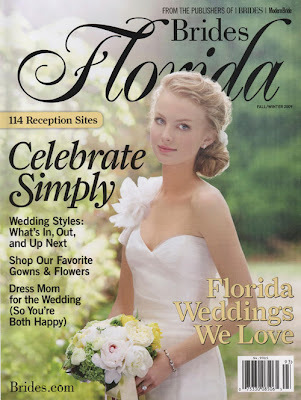 I picked up the new Brides Florida over the weekend and was thrilled to see a spread on Emille & Nick's beautiful wedding at Paradise Cove. And I was so excited to see that the program I created for them was featured in the article as well. It is a 4x9, 3 layered program, printed thermography in their beautiful chocolate and rust orange colors, with a sheer ribbon at the top. 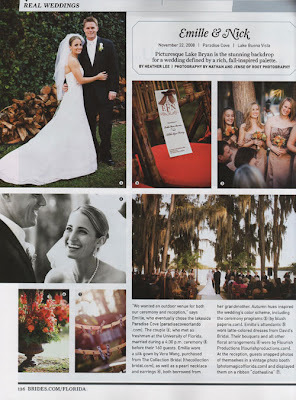 And many thanks to Sarah from StyleHouse for including Blush Paperie in this gorgeous wedding!